THE DAVID TEAM - NOEL DAVID AND PAULA DAVID, ASSOCIATE BROKERS, AS WELL AS OTHER INDUSTRY PROFESSIONALS THAT WILL WORK FOR YOU. 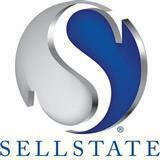 WE ARE FOCUSED ON ASSISTING YOU ACHIEVING YOUR REAL ESTATE AND BUSINESS GOALS. We are focused on providing you and your family with the best results and service in the real estate industry, as we have done for many others over the years. We listen carefully, ask questions of you, answer all calls and text messages, answer all emails. This allows us to be able to understand as well as appreciate your real estate goals, timing and objectives. We will offer creative solutions that may make sense to you. YOU DECIDE NOT US. Whether you are new to the Florida market or an experienced investor, we have the expertise, proven track record, and resources to help you achieve your real estate goals. As is often said, real estate is about "location, location, location". You decide as what "location" may mean to you. Is it, schools as well as school ratings, commute time, proximity to medical facilities, etc.? We have extensive knowledge of the market areas of; Jacksonville, Saint Augustine, Middleburg, Fleming Island, Green Cove Springs, Palatka as well as the Oakleaf area. We can and will help you find the right home, OR investment property, OR the right buyer for your home or investment property. CONTACT US TODAY.